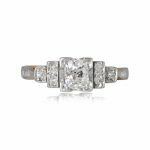 The Parksville Ring is a stunning engagement ring, featuring a 4.35 carat old antique European cut diamond that is prong-set in the center. 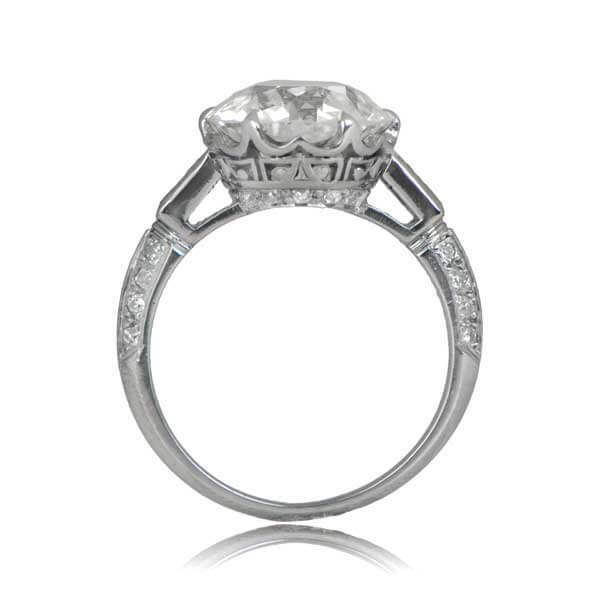 The diamond is flanked by two step-cut diamonds on the shoulders and lead towards double-edged rows of smaller diamonds. 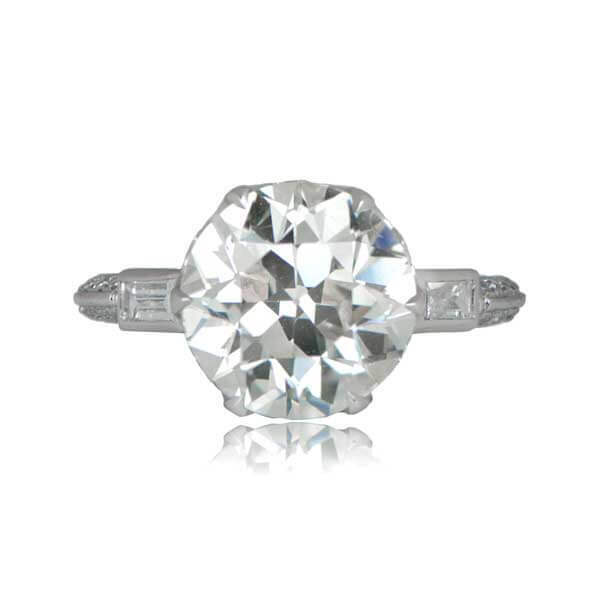 The center old European cut diamond weighs approximately 4.35 carats, K color, and VS2 clarity. 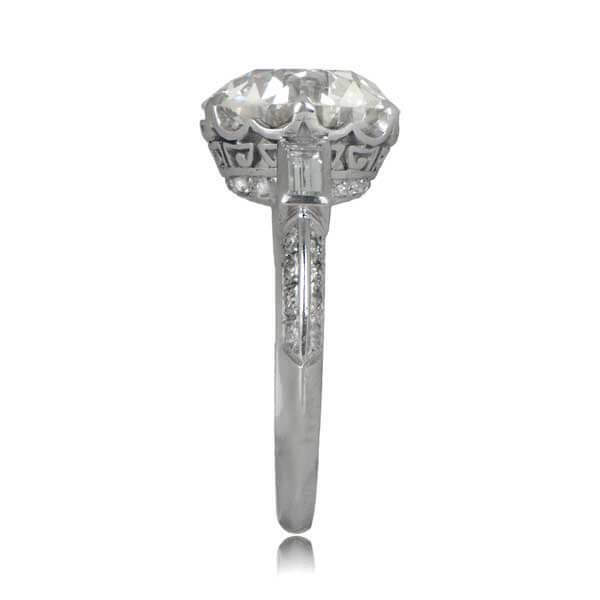 This ring is from the Art Deco Era. Circa 1920. 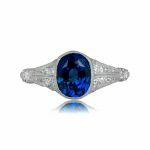 SKU: 11907 Categories: Old European Engagement Rings, Vintage Engagement Rings - Contact us and request additional pictures.